Every Christmas season, I have the honor of watching kids at the shelter rip open their gifts with a ton of excitement. I love watching the parents too. They obviously don't want their children to be living in a homeless shelter, but as soon as they're given a bag full of presents for their kids, their eyes light up and an immense burden is lifted! They realize that their Christmas just transformed from all these feelings of embarrassment and dread into something spectacular! Over the years, I've heard many parents say that their Christmas at CCO was their best ever! A few decades ago, some followers of Jesus saw the desperate need in their neighborhood and wanted to live out His basic command to "love your neighbors as yourself". This group was a young community of Christians, called Jesus People USA, who lived in Chicago's Uptown neighborhood and were surrounded by a lot of poverty and people experiencing homelessness. 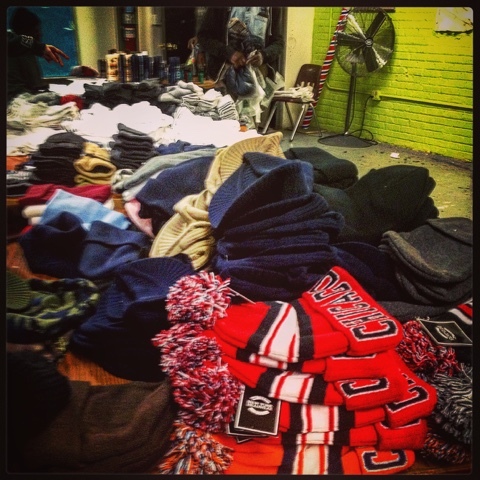 The members of JPUSA couldn't ignore the plight that surrounded them and Jesus' radical parable of the "Sheep and the Goats", so they opened their doors and their hearts, by providing meals to eat, food bags to take with them, clothes to wear, blankets to keep them warm and beds to sleep in. A couple decades ago, I had a job driving taxis and one of my biggest struggles was having to wait. I'm not talking about waiting for customers, I'm talking about wanting things to happen, but I had to wait! I was in an "in-between" stage in my life; I had just finished Bible College and wanted to get into ministry, but I had no money and no doors had opened for me at that point. I had to wait! I had to be patient.